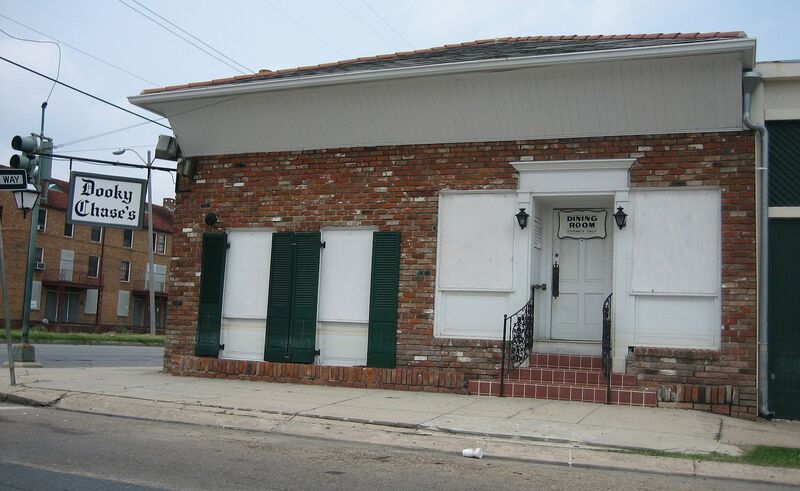 Dooky Chase, a Treme landmark, is a restaurant run by award-winning chef and community leader Leah Chase. 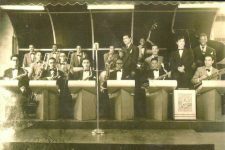 The business began as a sandwich shop run by Edgar “Dooky” Chase Sr. in the early 1940s. His teenage son, Dooky Chase Jr., played trumpet and led a touring big band of young musicians, including trombonist Benny Powell and trumpeter Emory Thompson. In 1946 the younger Chase married Leah Lange and left the road to help run the business. 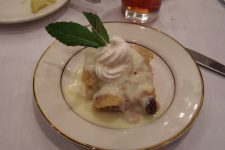 In time Leah Chase expanded the restaurant’s offerings to include several Creole dishes, including Gumbo Z’Herbes, famously served on Holy Thursday, the day before Good Friday. Dooky Chase restaurant became a popular destination in the local black community and attracted several high-profile patrons from around the country, including Thurgood Marshall. 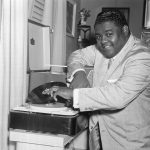 Artists and musicians were always welcomed: Leah Chase cooked for Louis Armstrong, Lena Horne, and Sarah Vaughn, among others. 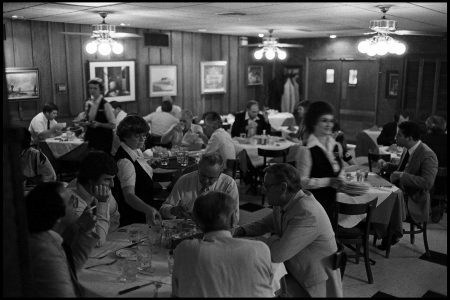 Ray Charles liked it so much he mentioned it by name in the song “Early in the Morning Blues.” Local musicians found the kitchen open late at night, so it became a place to gather after gigs. 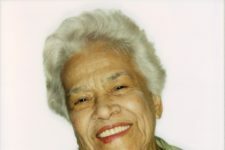 The family’s connection to the music community has continued through Leah Chase’s daughter, also named Leah Chase, a jazz vocalist. 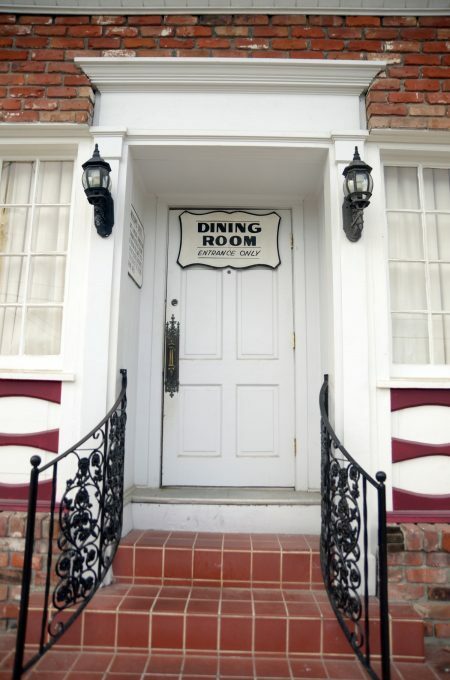 The restaurant contributed to the civil rights movement in New Orleans by offering a meeting place for organizers who, in the days of segregation, could be prohibited from gathering in public. By the 1970s, Leah Chase developed an interest visual art by African-American artists, eventually amassing a major collection. 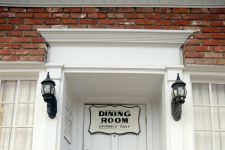 Today the restaurant displays many pieces prominently. 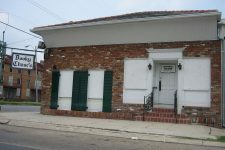 It flooded after the levee failures following Hurricane Katrina in 2005, though with community assistance Chase reopened it in 2007. 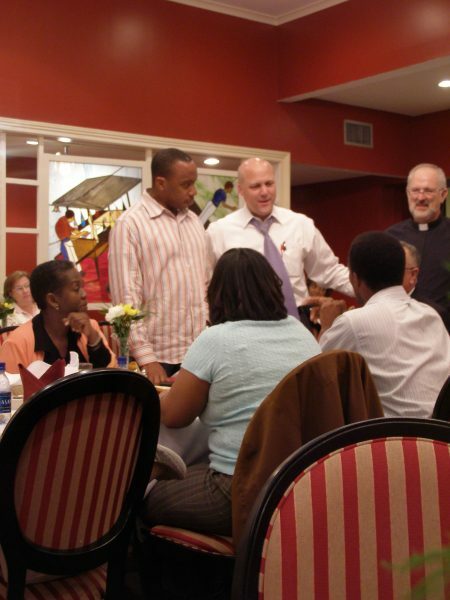 The next year, presidential candidate Barack Obama ate a meal here, and Chase chided him for adding hot sauce to his gumbo before tasting it. She received a Lifetime Achievement Award from the James Beard Foundation in 2016. Dooky Chase passed away later that year. 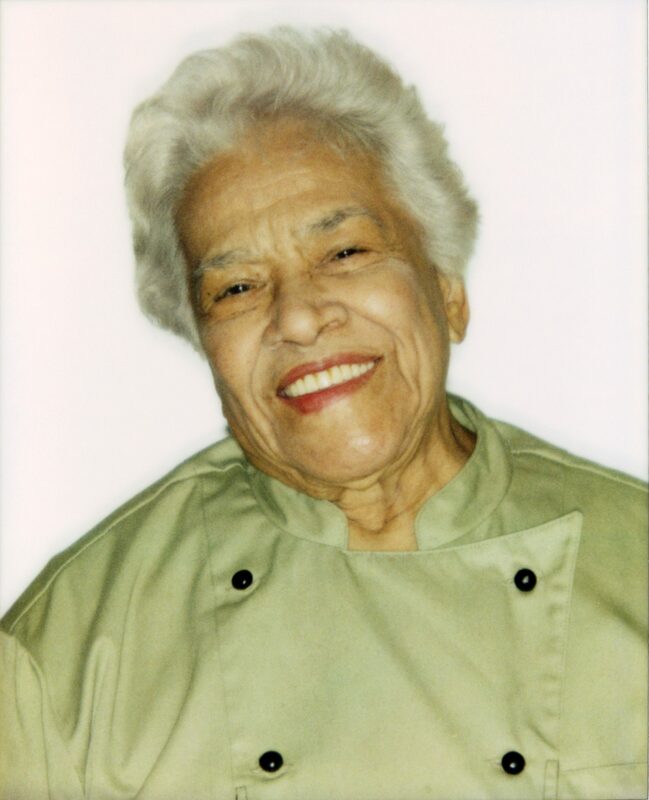 A profile of Leah Chase produced for the James Beard Foundation's 2016 Gala Awards. Video by Linton Media in collaboration with Bowen and Company. Video posted by the James Beard Foundation. 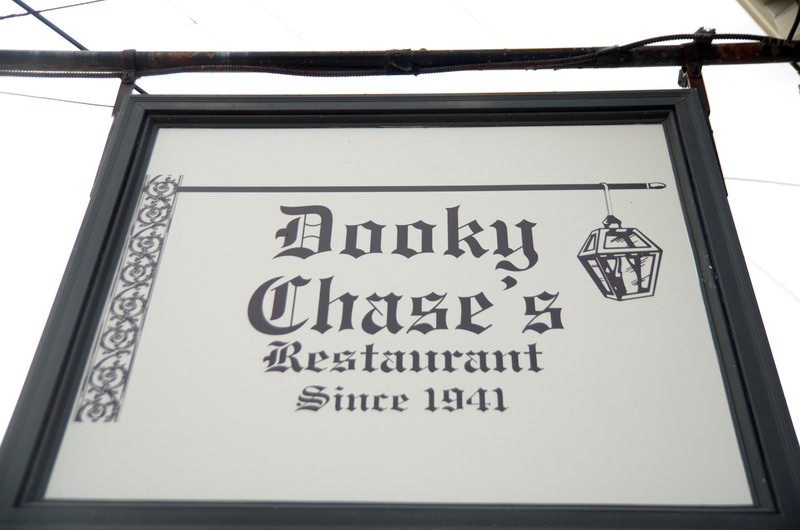 From Bon Appetite, an inside look at Dooky Chase. Video posted by Bon Appetite. An extended conversation with Leah Chase from the National Visionary Leadership Project. More videos here. 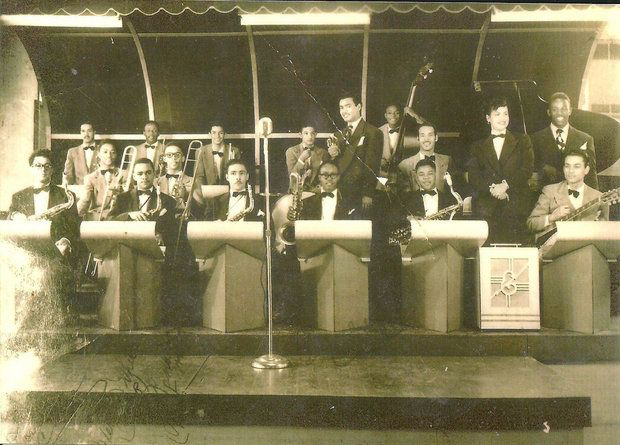 NVLP records, preserves and shares the histories of extraordinary African American elders, passing on the African American tradition of social change. Learn more at www.visionaryproject.org. 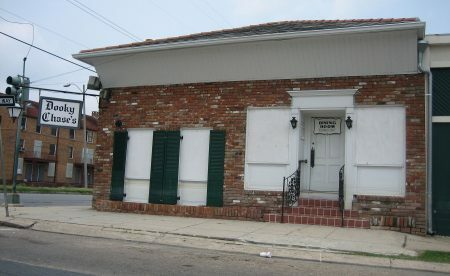 Dooky Chase restaurant in 2006. Note the waterline from the flood following Hurricane Katrina in 2005 and, to the left, the Lafitte public housing development, which was demolished a few years later. Dooky Chase exterior door in 2012. Untitled (Dooky Chase Restaurant), MPS Contact Print Book 8, #2106, 25A, ca. 1982. ©The Historic New Orleans Collection, 2007.0103.1.1200. Photograph by Michael P. Smith. 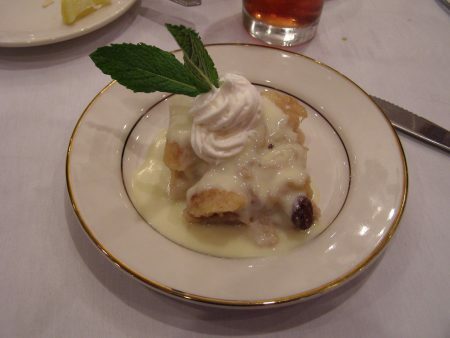 Bread pudding at Dooky Chase. Wikimedia Commons. Photo by Karen Apricot. 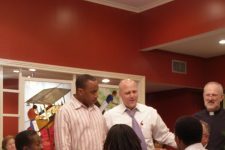 New Orleans mayor Mitch Landrieu at Dooky Chase. Lunches at the restaurant often attract politicos and other movers and shakers. Portrait of Leah Chase taken at the restaurant for Blake Nelson Boyd's "Louisiana Cereal,” 2008. Wikimedia Commons. Photo by Blake Nelson Boyd. 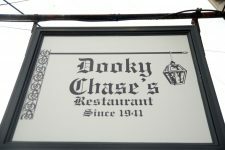 Explore the official Dooky Chase Restaurant for more information on their history and menu!